Southern Tank Testers, Inc. was founded in 1988 to address Federal EPA regulations that came into effect that year regarding leak detection of underground storage tanks. Since it's inception, Southern Tank Testers has been at the forefront of changing technology, keeping up not only with the latest advancements, but also keeping abreast of all changes in Federal and State regulations of UST's. 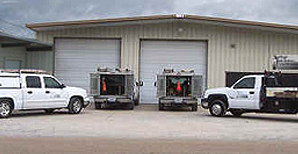 STT Services, LLC was started in 2010 to assist our customers with quality installation and service for all their fueling equipment needs. From basic repairs and maintenance all the way to complete fueling systems, STT Services provides you with the quality service you have come to expect from the Southern Tank family. Same Great Company...Just More Options.